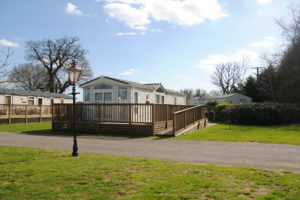 Monks Meadow - A development of new caravan holiday homes. A small attractively laid out very low density development of new caravan holiday homes. Our most recent development of caravan holiday homes, Monks Meadow is run along similar lines as Lookout. It is a well laid out low density development with extensive planting which is becoming more established each year. We currently have just sold our last plot available for new holiday homes but do have the occasional previously owned holiday home for sale too. These caravan holiday homes are all equipped with double glazing, central heating and winter insulation making them well suited for the extended ten month season which many owners take advantage of. 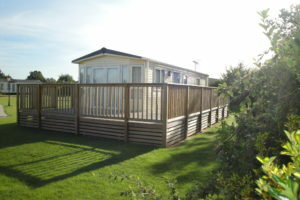 The holiday homes here are attractively laid out and have generous timber decking allowing owners to make the most of their sheltered position. All information here is updated regularly but to avoid disappointment please telephone to check availability. We also operate a mailing list and would be pleased to hold your details with a view to contacting you as soon as any other properties become available.